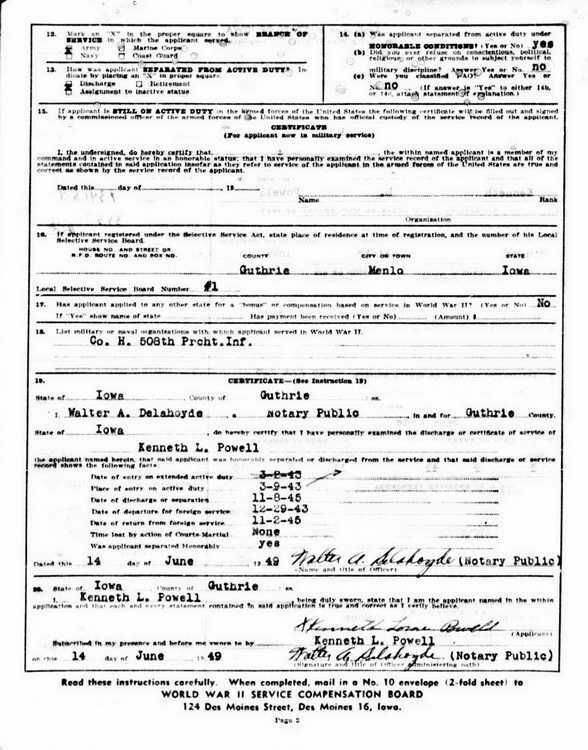 Iowa WWII Veterans Bonus application submitted by Kenneth L. Powell on 14 June 1949. Kenneth was credited with 34 months of service including 22 overseas. He was awarded a total of $345 as a consequence. 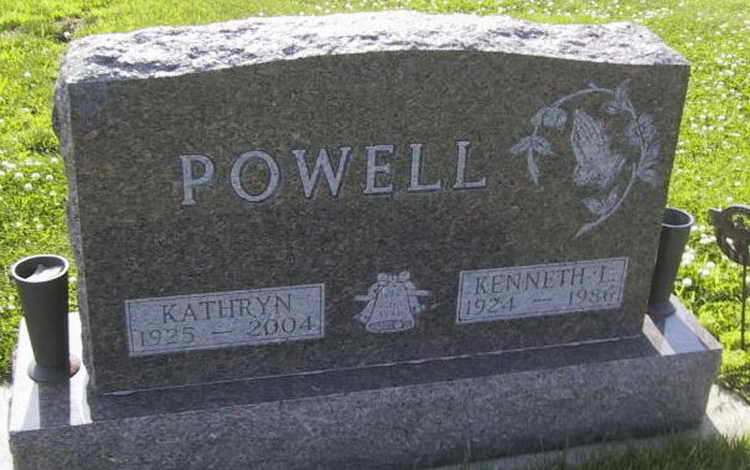 Grave marker for Kenneth L. Powell in Rosehill Cemetery, Menlo (Guthrie county), Iowa. Kenneth enlisted n the Army at Camp Dodge, Herrold, IA on 2 March 1943 and was assigned to Company H, 508th PIR. 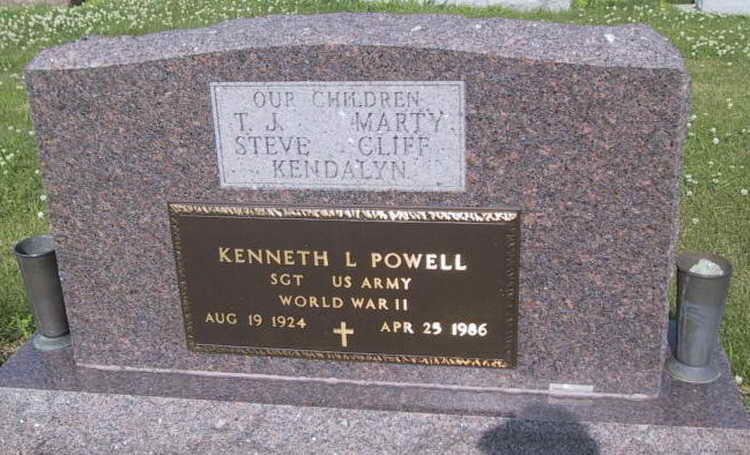 Pfc Powell was listed as MIA from 6 June to 11 June 1944. He was promoted to Cpl on 18 October 1944. Cpl Powell was wounded in action in Holland on 23 September 1944. He was wounded again in Belgium on 31 January 1945 and rejoined the company on 15 April 1945. Sgt Powell had sufficient points to be amongst the first 508ers sent home from the ETO. 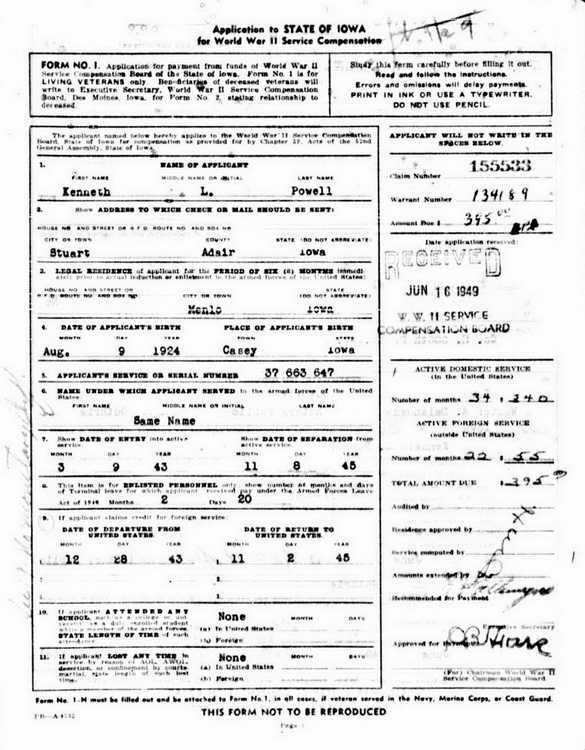 He was discharged on 11 August 1945.